Sorry I got a little too excited. Anyways Bobcats fans have something to celebrate about because the team just signed former Utah Jazz center Al Jefferson to a 3 year 41 million deal. This is excellent for the Bobcats as they now have a dominant force on the inside to pair up with number 4 draft pick, Cody Zeller. The Cats already have a pretty good backcourt (Kemba Walker, Gerald Henderson) so this is a great move for a team that had some of the worst big men in the league lining up for them. It was reported that Jefferson was going to wait to see what Dwight Howard was going to do before he made a contract but after spending the last two days in Charlotte I guess he finally made up his mind. Big Al averaged 17.8 ppg and 9.2 rpg last season with the Jazz, which will surely help the Bobcats’ frontline. Compared to the big men from last year (Brendan Haywood, Bismack Biyombo, Byron Mullens) this is a huge step up in production. Jefferson could possibly be an all-star for Charlotte if he helps them improve enough. I think it’s turning out to be a good offseason for Charlotte as they have already addressed some of their biggest needs, which is talent in the paint. They already let Mullens become a free agent and drafted his replacement, and I doubt moving Bismack and Haywood to the bench is that much of a problem. 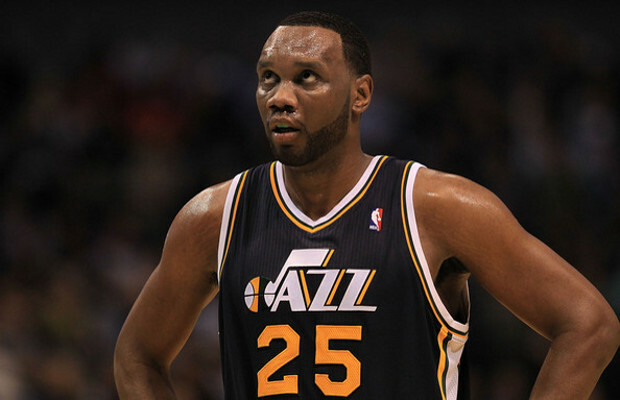 The best part about this deal is that the Cats are signing proven talent with Al Jefferson. Originally I thought they would go for Andrew Bynum and let’s be honest he only had that one great season before not even playing last year. Great move Charlotte, plus I just heard the Cats are going to amnesty Tyrus Thomas. No more moves will even be needed to make Charlotte fans happy, they now have a solid big man and got rid of a solid scrub.